Hannah Rose Wilson, seventh grade, was one of two students who won first place at the Area Competition, against 16 other counties. Officials with McDowell County Soil & Water said they are proud to have these two individuals represent our county in May at the state competition and Foothills Community School should be very proud of having two winners again this year. 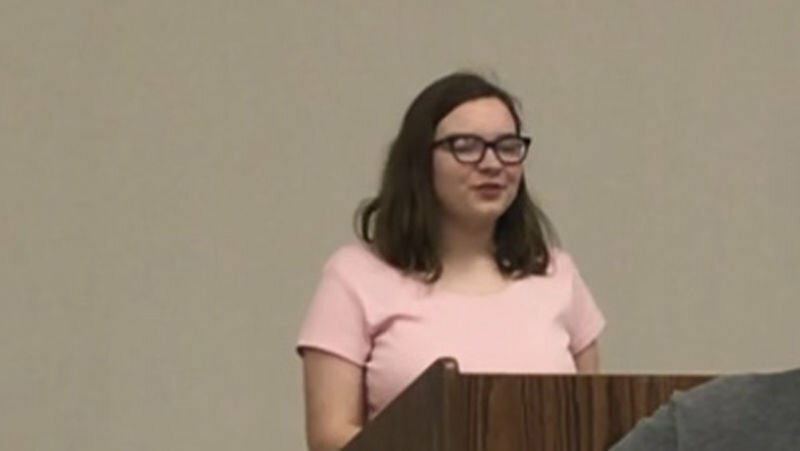 Aubrey Kuykendall, eighth grade, was one of two students who won first place at the Area Competition, against 16 other counties. Officials with McDowell County Soil & Water said they are proud to have these two individuals represent our county in May at the state competition and Foothills Community School should be very proud of having two winners again this year. 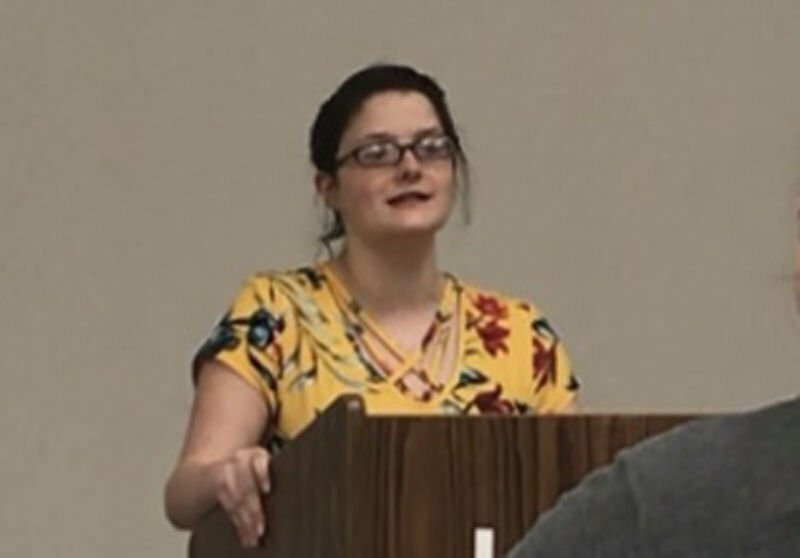 Some outstanding local students were recognized at the 2019 Annual School Contests, held by the McDowell Soil & Water Conservation District. There were three categories offered this year for McDowell students, and all students from grades three through eight were eligible to participate in the contest that was offered for their grade level. This year’s theme was “The Living Soil”, and depending on their grade level, students competed in one of the following categories: poster, essay or public speaking. The district winners received a bundle of prizes including monetary awards and were invited to compete at the Area 1 competition in Waynesville. The first-place winners there will go on to compete at the state contest in Raleigh, which will be held in May. • Poster contest, third grade. Anna Jackson, first place; Ashtyn Burleson, second place; and Dakota Rector, third place. All of these students are from Nebo Elementary. • Poster contest, fourth grade. Logan Vess, first place; Jazilyn Sutton, second place; and Elyse Foster; third place. All of these students are from Old Fort Elementary. • Poster contest, fifth grade. Christina Cannon, first place; and Kamden Elkins, second place. These two students are from West Marion Elementary. Elijah McNeill, third-place, who is from North Cove Elementary. • Poster contest, sixth grade. Jasmin Cazarez, first place; Katie Shosho, second place; and Meredith Carroll, third place. All of these students are from West McDowell Middle School. • Essay contest. Cadence Deaton, first place; Cole Cook, second place; and Skyler Stevens, third place. All of these students are from East McDowell Middle School. • Public speaking contest. Hannah Rose Wilson, seventh grade; and Aubrey Kuykendall, eighth grade. Both of these students also won first place at the Area Competition, against 16 other counties. Officials with McDowell County Soil & Water said they are proud to have these two individuals represent our county in May at the state competition and Foothills Community School should be very proud of having two winners again this year.